Another preview of the upcoming New Balance 1600 by Ronnie Fieg. Straight fro the Kith crew comes another preview of the upcoming New Balance 1600 by Ronnie Fieg. This time we get a look at the completed product, albeit from an angle obscuring a full look. But that's the point of a teaser! From what we can see so far, the shoe has an excellent blend of perforated leather in shades of tan, along with a blue suede toe and accents in pink. 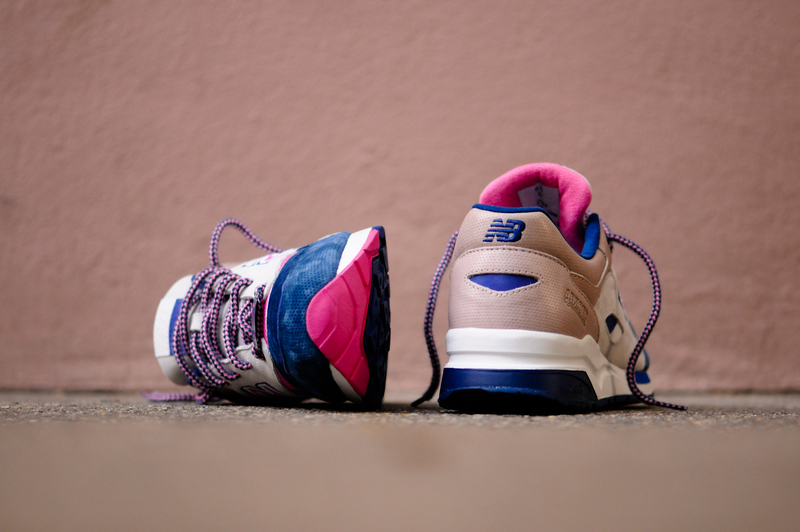 Let us know what you think so far, and expect the Ronnie Fieg x New Balance 1600 to drop in the near future.